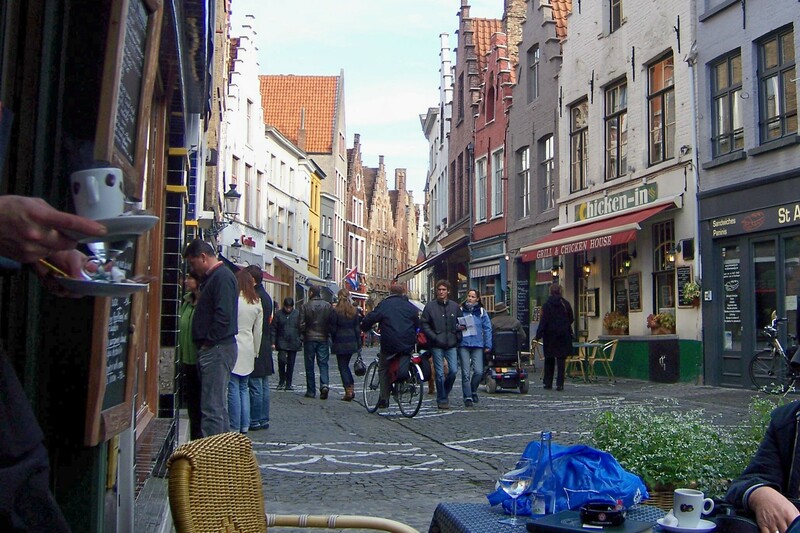 The ETs thoroughly enjoyed Belgian hospitality in the medieval city of Bruges. In spite of a light rain and a disappointing hotel, we saw, we ate, we conquered. 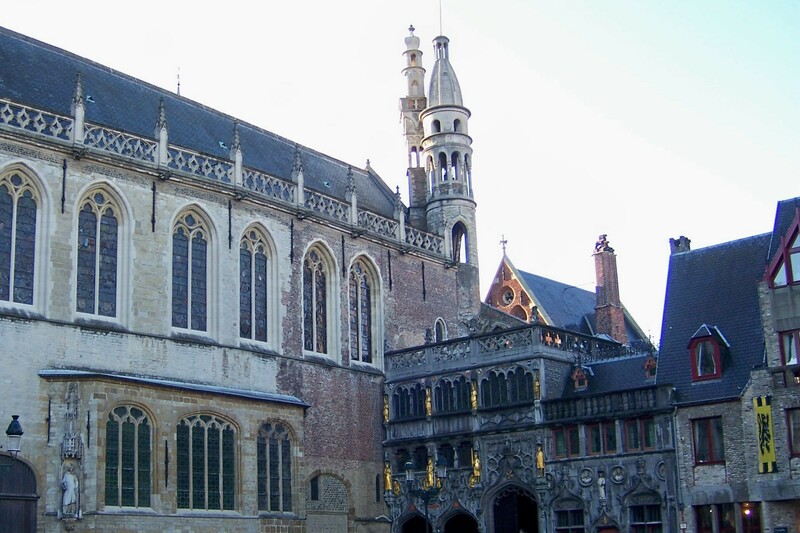 As we mentioned in our last post, Bruges was a city of surprises which, except for the hotel, were exceedingly good. Our second day was sunny and perfect for a canal tour by boat. It’s very close quarters and potentially lethal for tall people every time a bridge approaches, but we had a fine time afloat and highly recommend it. Basilica of the Holy Blood off Burg Square. The ETs were surprised to be present for the veneration. Our next stop was the Basilica of the Holy Blood on Burg Square. It was a complete surprise to learn that a vial of the Blood of Christ would be on view during our visit! Timing is everything, and the ETs lined up to venerate. 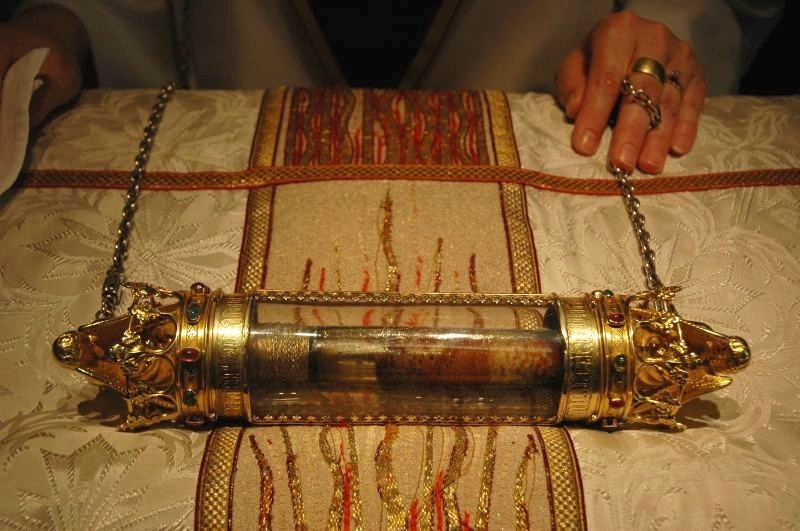 The relic is encased in a rock crystal vial, inside a glass tube with gold crown-shaped ends. The rock crystal is cut in a manner typical of 12th century Constantinople, which supports the story that it was given to Count of Flanders Diederik van de Elzas after the Crusaders sacked Constantinople in 1204. That gives the ETs just one degree of separation from a crusader siege. After the visit to the Basilica and our adventures on the high seas of Bruge canals, we deserved a treat. 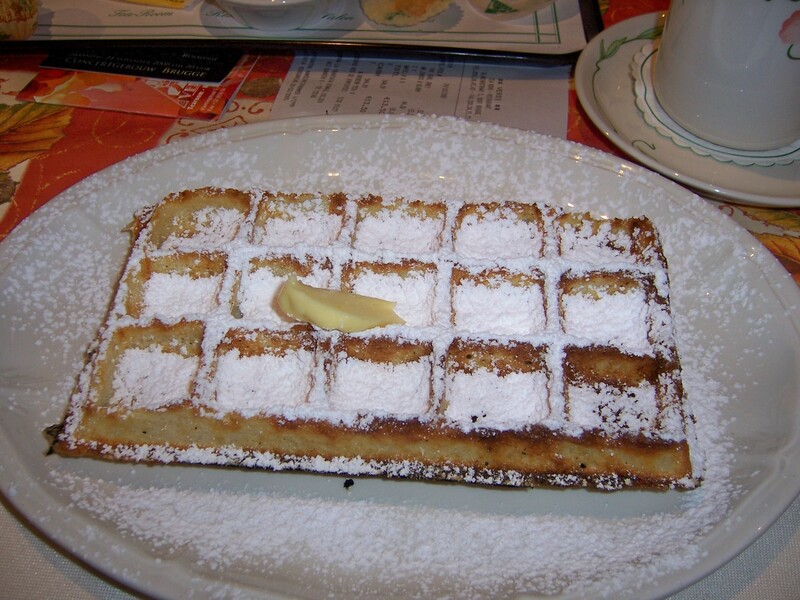 The ETs vowed not to cross the border without tasting an authentic Belgian waffle. The Verdi Tea Room was the perfect venue for our cross-cultural plans. Although the room was decorated with tiny busts of Viennese composers, the food was purely local. The ETs formally attest that Belgian waffles bear no resemblence to the thick, doughy “syrup conveyances” served in diners throughout the US. The real thing is thin and crunchy with a soft, fragrant interior. Unsalted butter and a dusting of powdered sugar is all that’s needed. Bruges really is full of surprises. And while we’re on the sacred subject of food, I must mention that we gleefully returned to Bierbrasserie Cambrinus so Nurse could have the croquettes again. 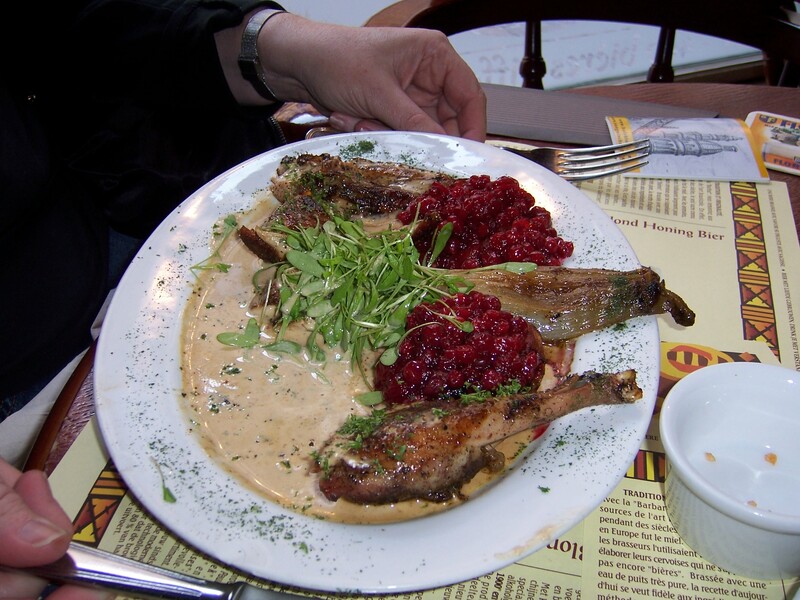 This time I surprised myself and tried pheasant, which was excellent. Of course we ordered more beers and impressed our hosts by reciting the legislative powers of the Belgian Federal Parliament. After saying a heartfelt goodbye to our new best friends at the bierbrasserie, we needed air. 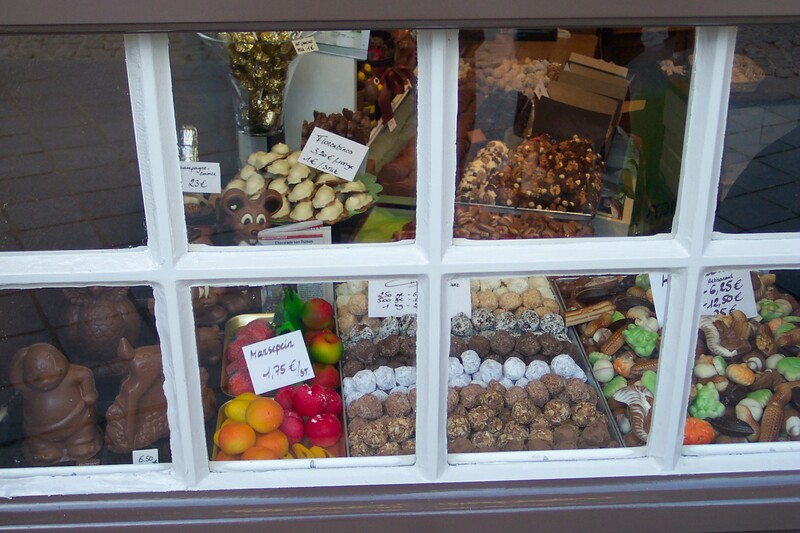 The storefronts that aren’t selling lace or more beer belong to chocolate. We chose the Maison du Chocolat which excelled at everything from the basic chocolate square to truffles and marzipan. The final surprise in Bruges was an Italian wine product called Fernet Branca. We both loved the hillarious book Cooking with Fernet Branca by James Hamilton-Paterson. So when we saw it on a cafe menu in Bruges, it was destiny. Our waiter pleaded with us to try anything else on the menu, and only agreed to serve the mysterious Fernet-B. if he brought us a “sample” first. Belgians are a proud and caring people, and he stayed at our side while we took our first sips. The ETs survived, thanks to the ministrations of that waiter, and now they bring this message to the world; Fernet Branca can kill. 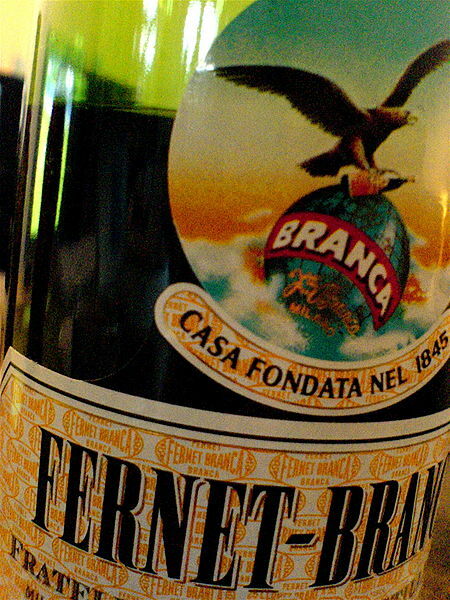 If you want to swallow tongues of fire that taste like paint thinner, then Fernet-B is for you. 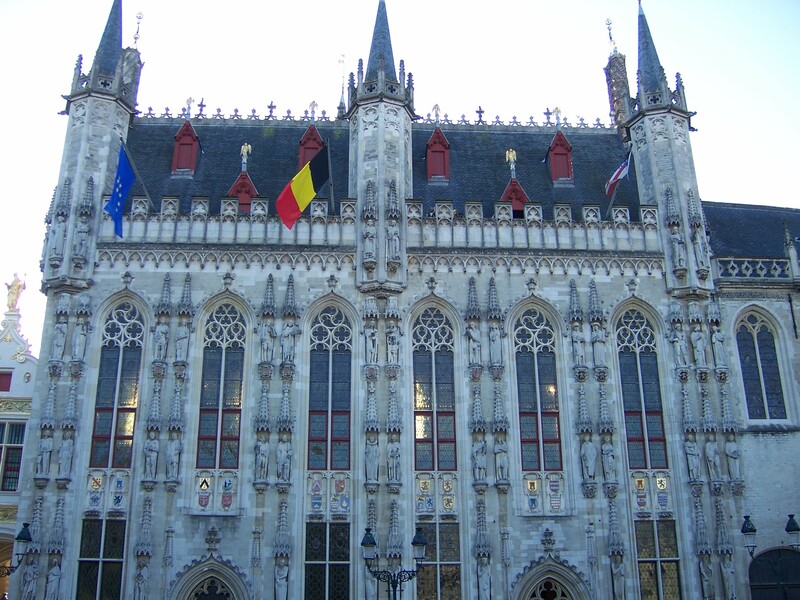 The Provincial Hoff in Markt Square, flying the flags to mark our unprecedented consumption of beer. 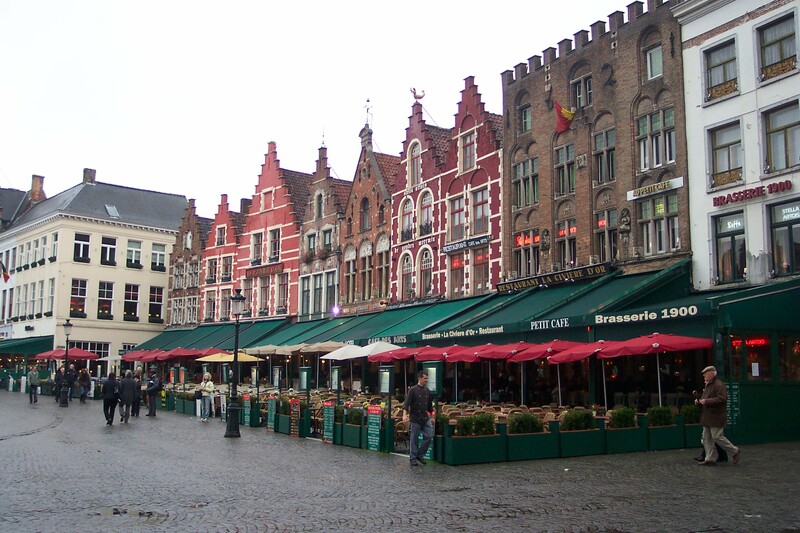 We are ready to return to Bruges as soon as we’re allowed to go back. It is a remarkable and beautiful city that is, indeed, full of surprises. If you get there before we do, please tell the folks at the Bierbrasserie that The ETs miss them, and stop by to admire the Fernet-B waiter’s Cross of Valor.